Life Extension's Once-Daily Health Booster(formerly known as Super Booster)is a cost-effective formula that combines a variety of valuable nutrients in one softgel. 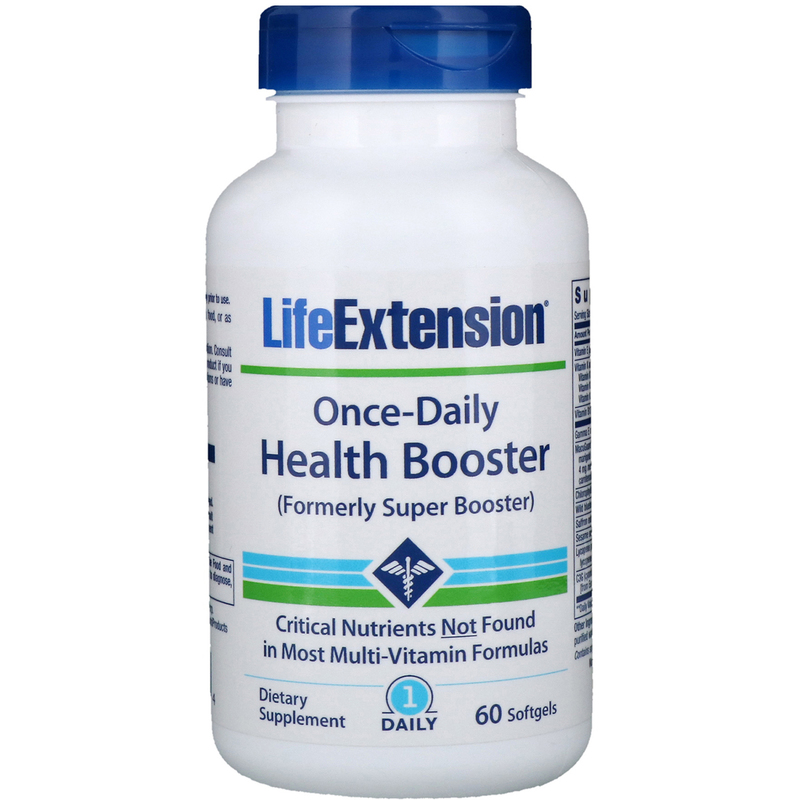 Health Booster contains many critical nutrients missing from most multivitamin formulas in a convenient daily softgel, designed to complement the Life Extension Mix or One/Two-Per-Day formulas. 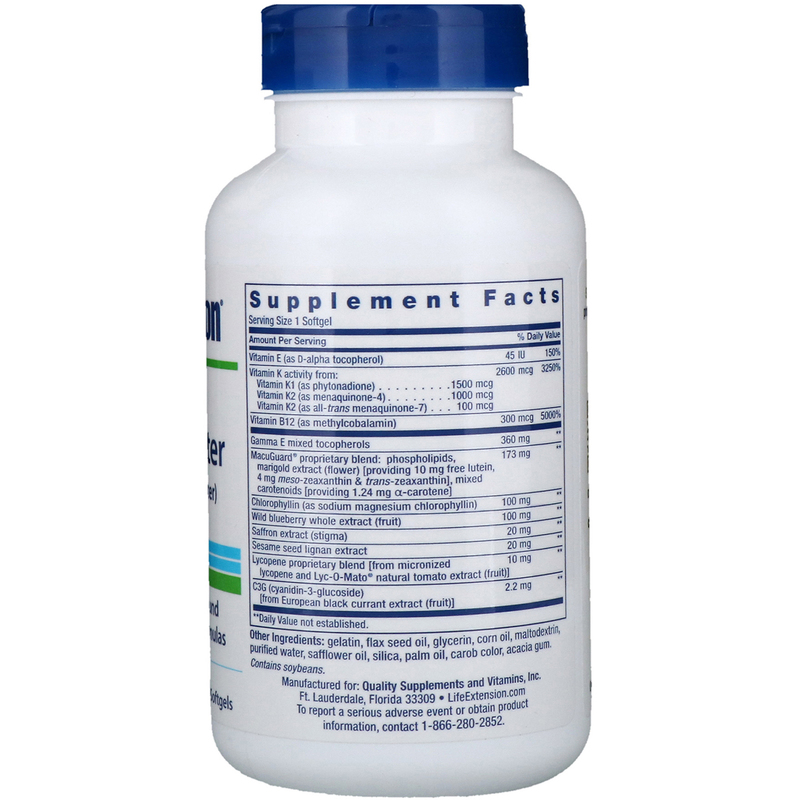 MacuGuard proprietary blend, which contains trans-zeaxanthin, meso-zeaxanthin, and lutein to support eye health and healthy vision, now contains alpha-carotene to further support macular health. Gelatin, flax seed oil, glycerin, corn oil, maltodextrin, purified water, safflower oil, silica, palm oil, carob color, acacia gum.